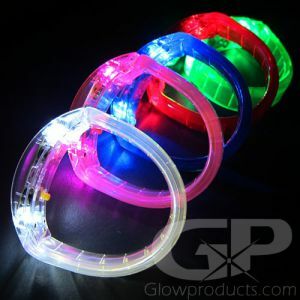 - Multi-Color LED Lights in Flexible Bracelet! 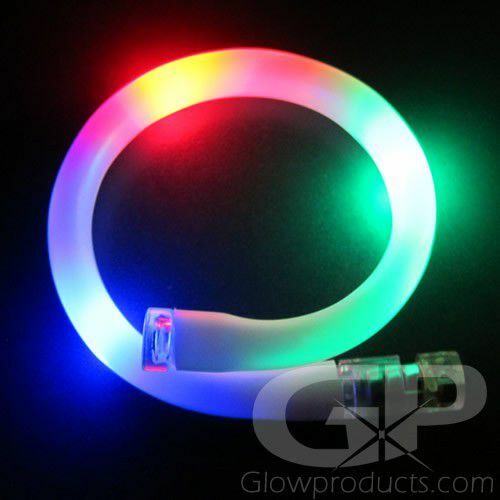 - Bright Flashing Red, Blue & Green Lights! 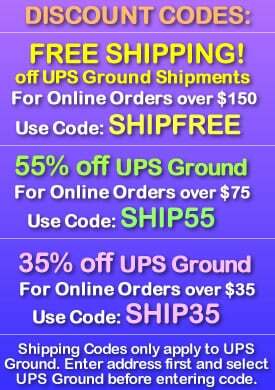 - Battery Operated & Easy to Use! - Fundraising! School Dances! Special Events! 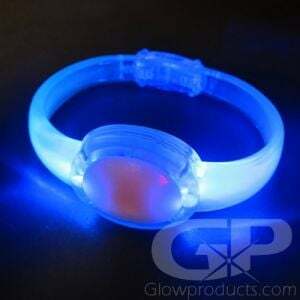 Flashing Multi-Color LED Lights in a battery operated Glow Bracelet! 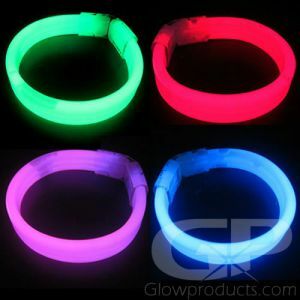 The great thing about these fun LED light bracelets is that they are flexible and will fit most wrist sizes, from kids to adults! 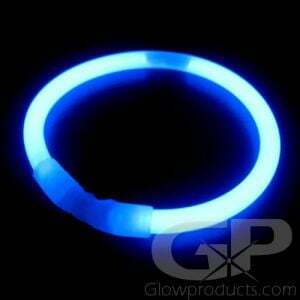 Flashing LED Bracelets are ideal for dances, special events, glow parties and concerts. 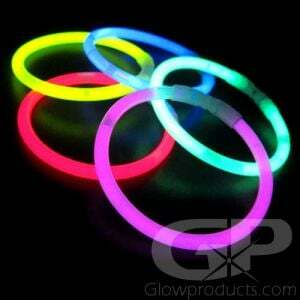 Flashing LED Glow Bracelets are a fantastic and easy to use glowing party accessory! 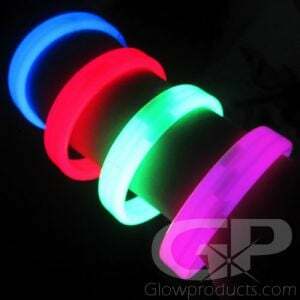 LED Lighted Bracelets come with internal batteries and are cased by a durable and strong plastic. 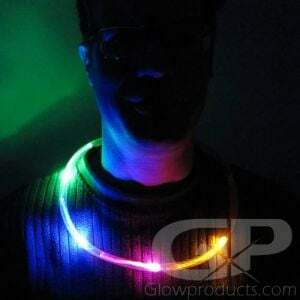 Wear glowing bracelets at Halloween, while camping, during night time games and glow sports! 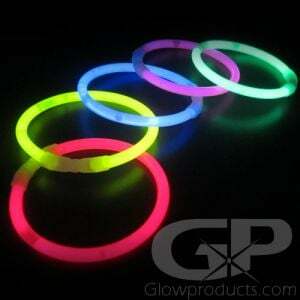 Brighten up your event and surprise your guests with the affordable and bright Flashing Multi-Color LED Bracelets! 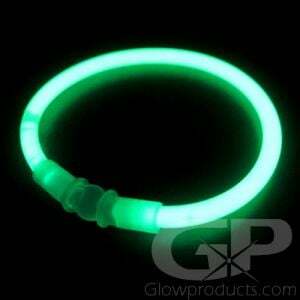 Instructions: Simply flick the LED Glow Bracelet's on/off switch to activate the flashing LED lights! 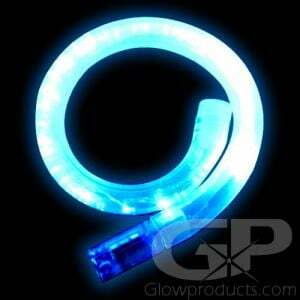 11" Long - Coiled Diameter: 2 1/2" to 4"